There are many reasons that you might be experiencing problems with your iPhone. But before doing something to correct what is wrong, you need to find out first what caused the problems. Troubleshooting your iPhone is not as difficult as you would think. In fact, you might be surprised that you can troubleshoot your own iPhone even if you are not a tech savvy person. A frozen iPhone is one of the most common problems of the Apple iPhone. This means that your iPhone is not operating as expected or totally not working. Here are some of the tips and tricks for fixing your iPhone when it freezes or when other problems arise. Recharge. Make sure to charge your iPhone with a high-powered USB port, not on a low powered one. Your keyboard USB port (if you have one) is low powered, therefore you cannot charge your iPhone with that port. Only a high-powered USB port will charge your iPhone or you can also use your iPhone AC adapter. You can easily determine if your iPhone is not receiving a power to charge by just looking at the battery image. If you see the red part of the battery image flash three times and then the screen goes black… this is an indication that the iPhone is not charging. If recharging your iPhone doesn’t solve your problem try this one. Restart. Try restarting your iPhone but if your iPhone is locked up or an application was frozen, you need to cancel the frozen application first before you can restart. To cancel the frozen app, press the home button and hold for about 6 seconds. You should be able to cancel the program that is locked up. Then restart your iPhone. To do this hold the sleep/wake button and wait for a red colored slider to appear. Slide your finger across the slider to turn off your iPhone. Before you turn it back on, wait for at least 10 seconds. To turn your iPhone on, hold the sleep/wake button until you see the Apple logo. If recharging or restarting your iPhone doesn’t solve your problem try another solution. Reset. To do this, hold the sleep/wake button and Home buttons simultaneously for a few seconds. The display will quickly wipe itself and you should see the black background and white Apple logo. Just ignore any other symbols that may appear. It is important that you wait for the Apple Logo before releasing the two buttons. The Apple logo signifies that a reset is well done. But then again, if recharging or restarting or resetting your iPhone doesn’t solve the problem, you may also try another way. Remove. 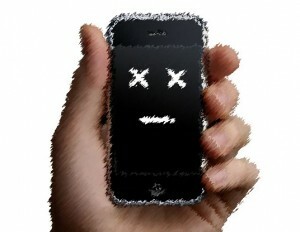 More often than not, your iPhone will not work as you expect, if there is content that is not properly synced. This will require more than a restart… you may need to totally remove the problematic content. You may try to remove certain content such as contacts, calendars, songs, photos, videos, or podcasts. Such content may be causing your iPhone not to sync properly. To do this, connect your iPhone to your computer and go to the iTunes site. Change your sync options for each of the following categories: contacts, podcasts, calendars, etc. Click on the iPhone in the Source list, then select each tab to change what content is synced, and then click apply. But if recharging,restarting, resetting or removing content from your iPhone still doesn’t solve the problem, try another one. Reset Settings. There are two ways to reset the settings of your iPhone. First go to settings and then general, then reset, then reset all settings. This will reset everything but no data or media will be deleted. Second, go to settings, select general, select reset and choose erase all contents and settings. This will unfortunately remove all of your saved files, folders, and content, so do this with caution. You may want to backup all of your content before attempting this. The second way will put your iPhone back to the state when you first bought it. Again, use the second option with care. If all the tips mentioned above didn’t work… you may try this option. Restore. Try restoring iPhone using the latest version of iTunes. Connect iPhone. When it appears in the Source list, click on Restore in the Summary tab. This will also wipe the iPhone and all your information on it. There are many ways to troubleshoot your iPhone. If you are still have problems the best advice I can give you now is to go to Apple.com The iPhone troubleshooting section of Apple’s main iPhone support site contains a walkthrough for situations like this. They have an enormous amount of information out there for you. This may be the best way for troubleshooting your iPhone. This entry was posted in Articles, How To's, iPhone and tagged iPhone, troubleshooting. Bookmark the permalink.